Herenboer is ideally located at Damme, close to Bruges (less than 10 kms) and the Belgian coast, both being full of interesting places that commemorate the First World War. Herenboer is also only a stone’s throw away from the battlefields and cemeteries of WWI in the Ypres Salient, the distance being no more than appr. 40 kms. Every day at Ypres, just before 8 o’clock in the evening, the local police halt the traffic passing through the Menin Gate. 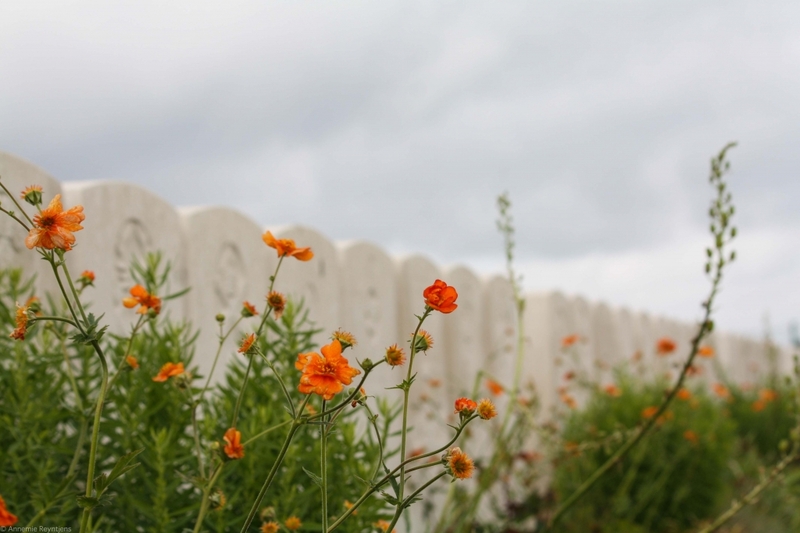 For a few brief moments, the modern world is brought to a stop and the Last Post Ceremony takes you back in time to the terrible and turbulent years of the Great War, as you pause to remember the dead. The Menin Gate was chosen as the location for the ceremony because of its special symbolic significance: it was from this spot that so many Allied soldiers set off for the front, many of them destined never to return. When World War I is commemorated, great attention is always paid to the ‘Westhoek’ (more or less the ‘Ypres Salient’), the Belgian region between Veurne, Diksmuide, Ypres, Heuvelland and Poperinge, region which belongs to the province of West Flanders, which is also known worldwide as ‘Flanders Fields’. This is also the region which English-speaking visitors are most familiar with. Cemeteries such as Tyne Cot Cemetery, Lijssenthoek Military Cemetery, Buttes New British Cemetery, Polygon Wood, Hooge Crater Cemetery, and many more are very famous, and the museums (mainly the In Flanders Fields Museum at Ypres, Hooge Crater Museum also at Ypres, Memorial Museum Passchendaele 1917 at Zonnebeke) in this region can hardly manage the flood of visitors. But also the Belgian coast is full of beautiful World War One remembrance spots. Just a few examples. 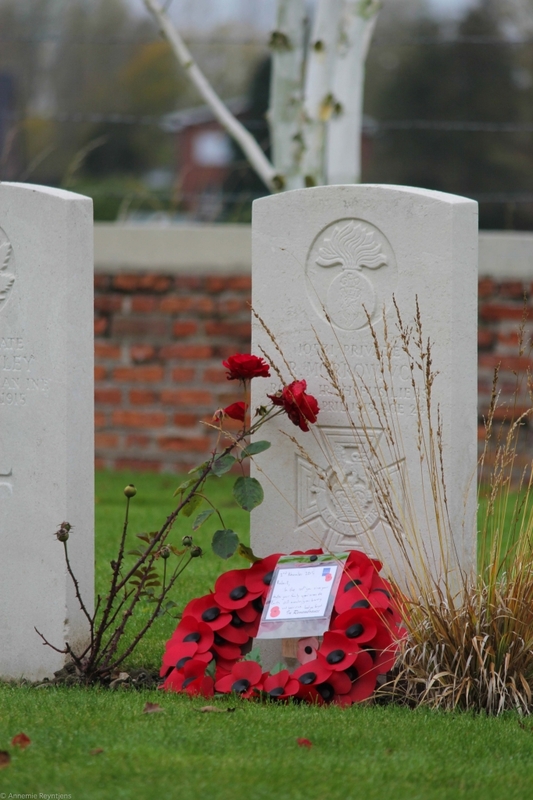 In 1917, Coxyde Military Cemetery became the most important of the Commonwealth cemeteries on the Belgian coast. 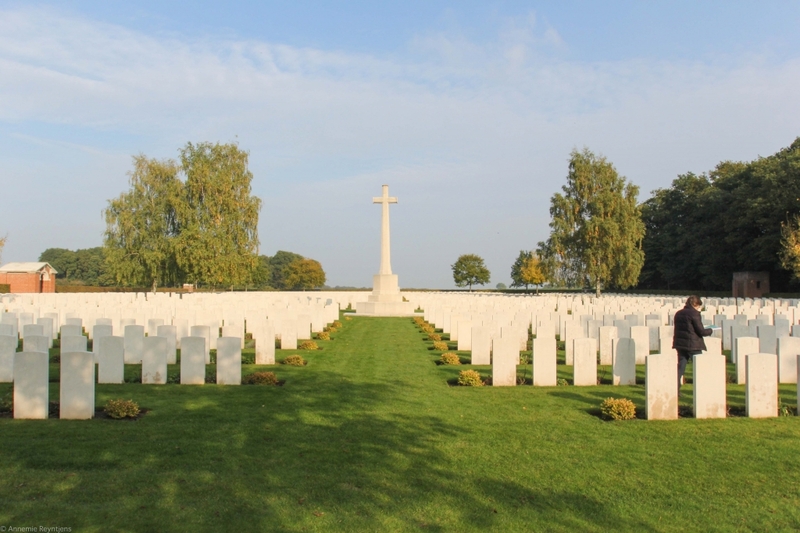 It is now one of the most beautiful Commonwealth WWI cemeteries in Belgium. At Nieuwpoort, where the flooding of the River Yser halted the Germans, you’ll find a number of important memorials: Albert I Memorial, Nieuwpoort Memorial to the Missing, Yser Memorial. 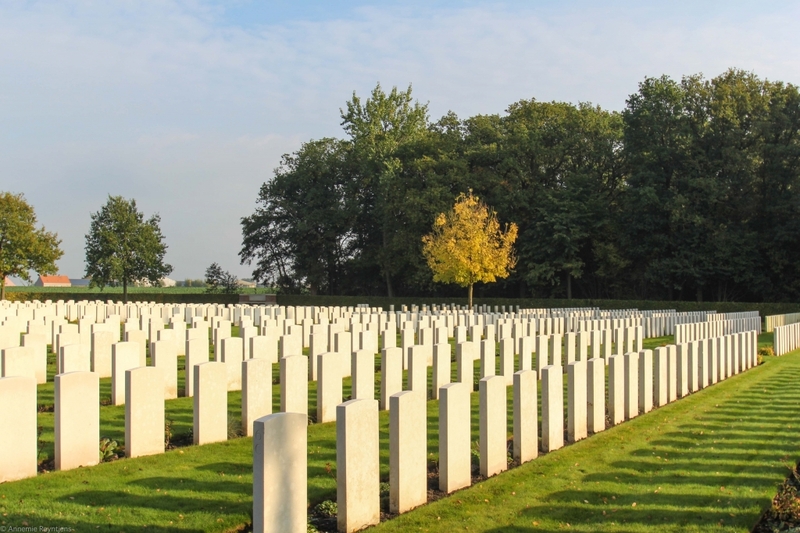 At Ostend, Blankenberge and Zeebrugge, the visitor will be delighted to see the many memorials and cemeteries that commemorate the famous raids on Zeebrugge and Ostend in April and May 1918. In 1907, the port of Zeebrugge (now part of Bruges) was built. The Germans used this port during the First World War for their U-boats. Bruges General Cemetery (located at Brugs-Kerkhofstraat) is one of the most impressive World War One cemeteries, including a section for civilians executed during the war and a very nice ‘Pro Patria’ statue. This cemetery is often visited by British people, also because the medieval city of Bruges is such a popular destination. 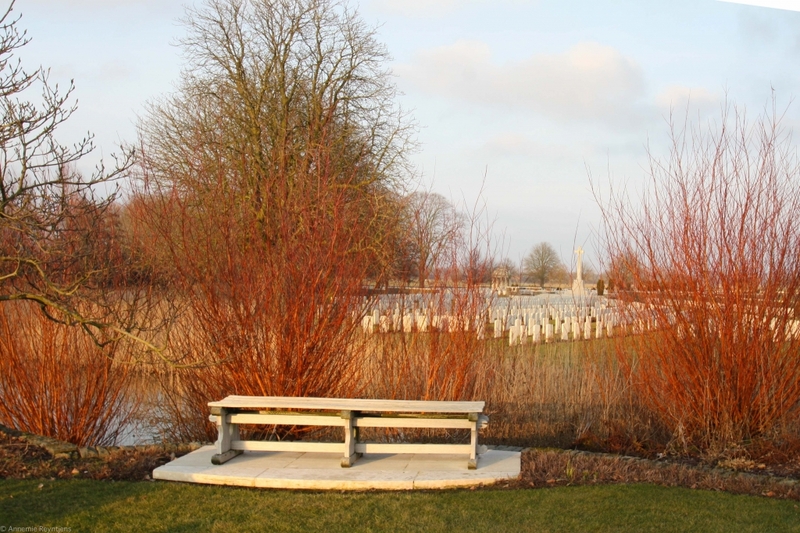 Brandhoek New Military Cemetery, burial place of Captain Noel Godfrey Chavasse, one of the biggest heroes of the Great War (Victoria Cross and bar), who is believed to be commemorated by more war memorials in the United Kingdom than any other individual. The Brooding Soldier at Saint Julien (Langemark-Poelkapelle), representing a soldier standing with ‘arms reversed’, and commemorating the Canadian First Division’s participation in the Second Battle of Ypres, which included the defence against the first poison gas attacks along the Western Front. 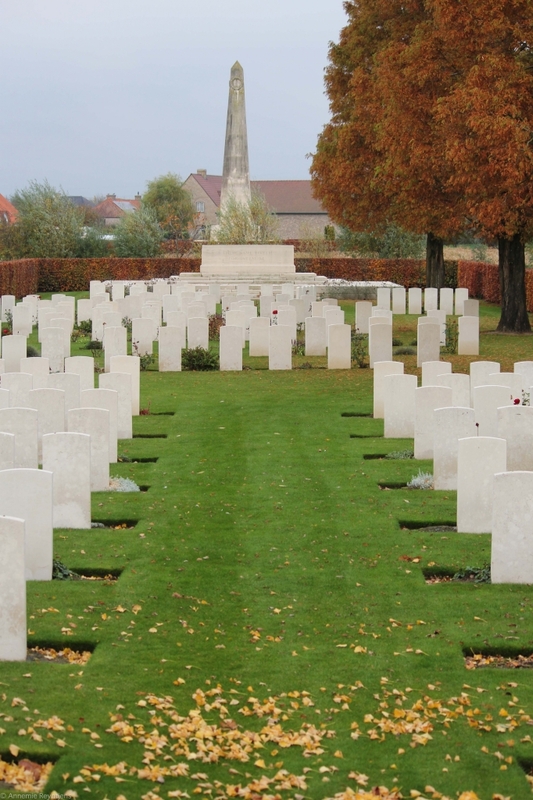 Harlebeke New British Cemetery (close to Waregem and Courtrai), a secluded garden of delight. The impressive Yser Tower, along the Yser River at Diksmuide (Dixmude), symbolizing the demand for ‘Never Again War’, written on the tower in the four languages of the Allied fighting forces in this area during the First World War (Dutch, French, English and German). Island of Ireland Peace Park, also called Irish Peace Park or Irish Peace Tower at Mesen (Messines), close to the site for the Battle for the Messines Ridge (chosen because that battle was one of the few where Irishmen, regardless of religion, fought side by side against a common enemy). Langemark German Military Cemetery and the legend of ‘Deutschland, Deutschland über alles’, with the famous ‘Comrades’ Grave’ containing 24,917 German servicemen. John McCrae Site / Essex Farm. This is possibly the most famous World War One site in the Ypres Salient. 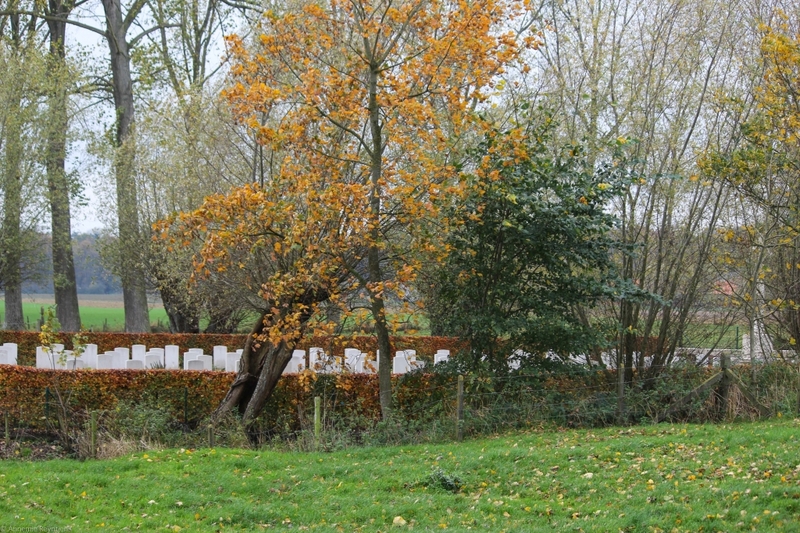 It was in Essex Farm that Lieutenant Colonel John McCrae wrote the famous poem ‘In Flanders Fields’ in May 1915. Ploegsteert Memorial to the Missing. This is certainly one of the most impressive Commonwealth War Graves Commission memorials for the missing soldiers of World War One. 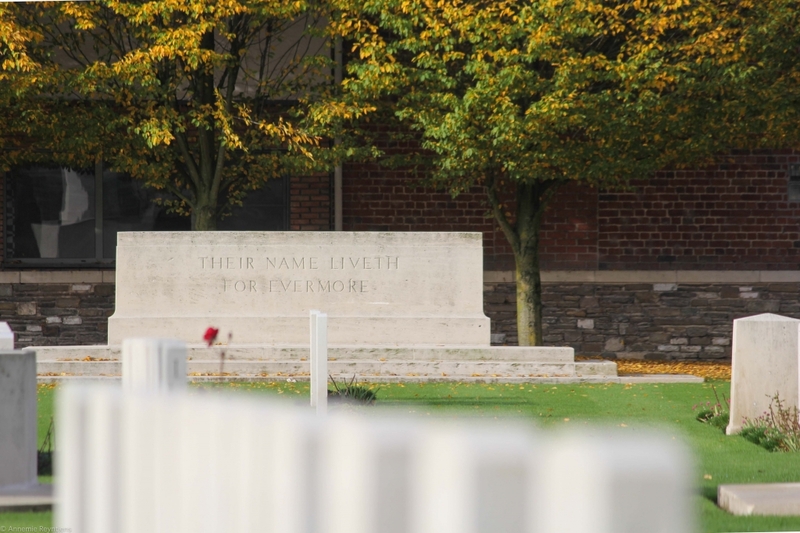 Since 7 June 1999, the ‘Comité du Mémorial de Ploegsteert’ has arranged for the Last Post to be played at the Memorial on the first Friday of each month. The ‘Pool of Peace’, the site of the largest of the mine explosions detonated to signal the start of the Messines phase of Third Ypres. Sanctuary Wood Museum and the famous Hill 62 at Zillebeke, Ypres. Saint George’s Memorial Church in the centre of Ypres. Talbot House, Poperinge. For three years, the ‘Tommy’ found here an alternative for the ‘debauched’ recreational life of the town. In 1917, approximately 250,000 soldiers were billeted in this region. Many of them visited Talbot House. Vladslo German Military Cemetery, with the famous statue ‘The Grieving Parents’ by Käthe Kollwitz. Flanders Field American Cemetery and Memorial at Waregem, visited by president Obama.